“Pure Siberian brutalism”, says Dr Antony Seldon, and I couldn’t agree more. The entrance truly is awful as is the rather uninviting car park. But all is not lost as thankfully, it does get better. The Black & White Bar, Karma and the Ebony Room exemplify what’s best about Brighton Marina. The fairly new Waterfront building, in which they are housed, was certainly built in the spirit of a continental marina – exactly what the Marina should be about. It has large gangways with great sea views, fashion outlets, clothes shops and swish bars. The Marina was built during the 1970s from plans conceived during the 1960s based on ideas first dreamt up over 200 years ago. 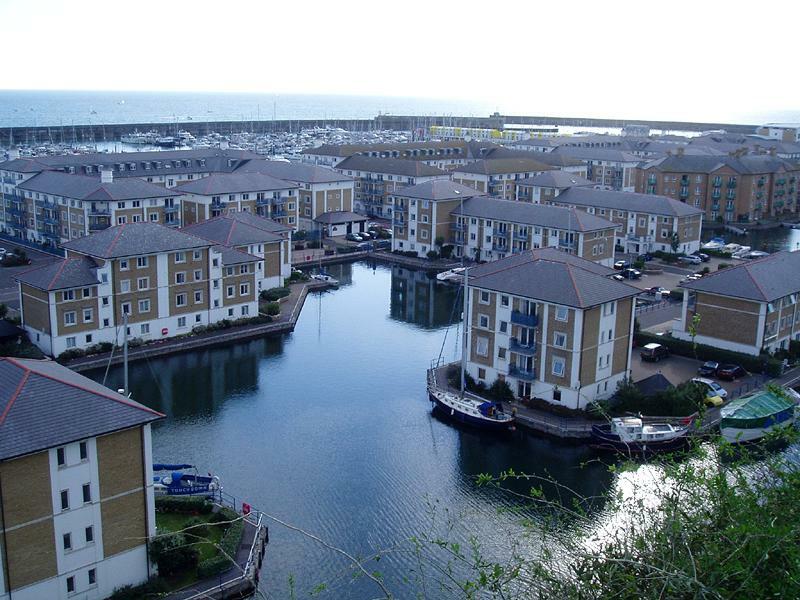 Marina-based Brunswick Developments Group Plc is the current freeholder of much of the development. Imaginative plans are afoot from Brunswick Developments to build around one thousand new flats in several massive new buildings, including a skyscraper, on land to be reclaimed from the sea. On the whole, the scheme seems well thought out though much of it could be achieved on a smaller scale. I welcome plans to humanise the entrance and replace most of the uninspiring buildings to the west such as the bowling alley, cinema, car park and Asda. The addition of a bridge to connect the two outer sea walls would be a joy to anyone who has walked all the way around the long eastern arm only to discover that it leads nowhere. The city’s tall buildings to date are awful because they were designed by people with no architectural integrity. Sussex Heights, Chartwell Court and Theobald House really are blots on the historic skyline. However, this proposal is different in that Wilkinson Eyre Architects (designers of the River Tyne’s Millenium Bridge) are involved. Despite this, I’m fundamentally opposed for two reasons. There is limited space within the great sea walls of the Marina and therefore replacing space that should be dedicated to boats with flats is a ludicrous, though undoubtedly highly lucrative, proposal. Flats can go anywhere after all, boats cannot. Secondly, I truly believe that the original agreement to limit development to below cliff height should be honoured. Brighton has always welcomed the country’s top architects since the days of John Nash, Sir Charles Barry, Decimus Burton and Sir Gilbert Scott. It would be a great shame to waste Wilkinson Eyre on proposals based on profits over principles.